My son is 3, potty trained, and I just bought a diaper bag. Why you ask? Design and function trumps all. Also, this is not an ordinary diaper bag. Think 100% premium leather, oversize luxe, fashionable, functional and durable. 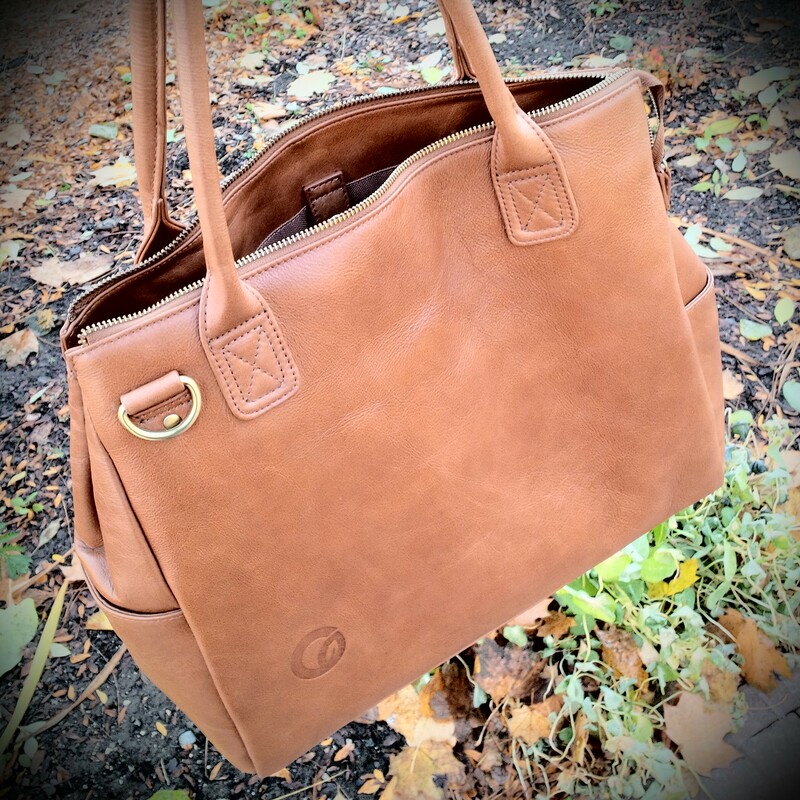 The best combination for work and play and there is a pocket for everything, seriously! I first discovered the Oemi Baby Diaper Bag at the Spring BabyTime Show, and after seeing them again at the Fall Show this past weekend I knew that bag was coming home with me. 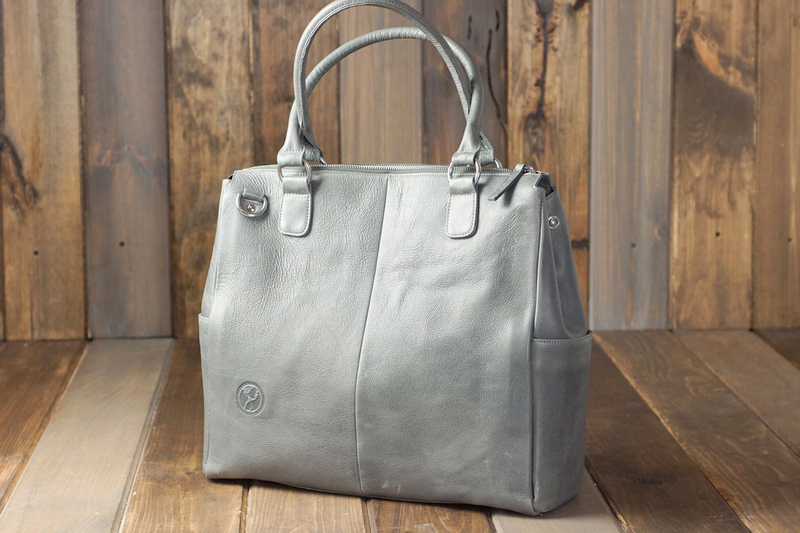 Stylish and functional, this bag has been crafted with the needs of fashion-conscious parents in mind. 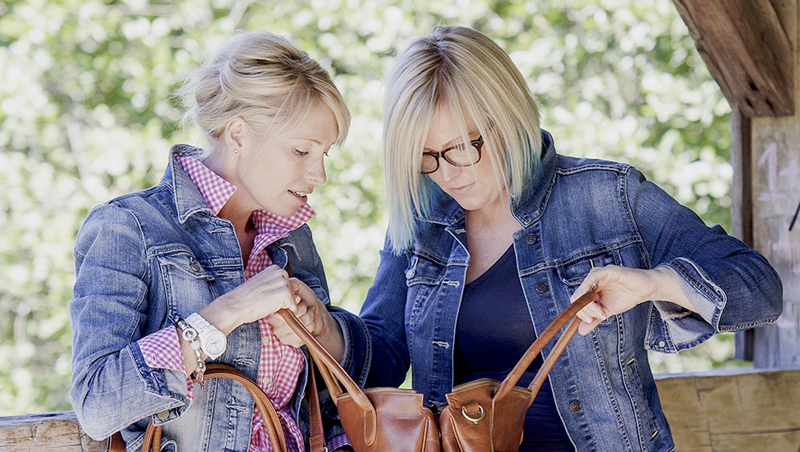 It is the perfect alternative to the traditional diaper bag. In fact, the only person who will know it’s a diaper bag is you. 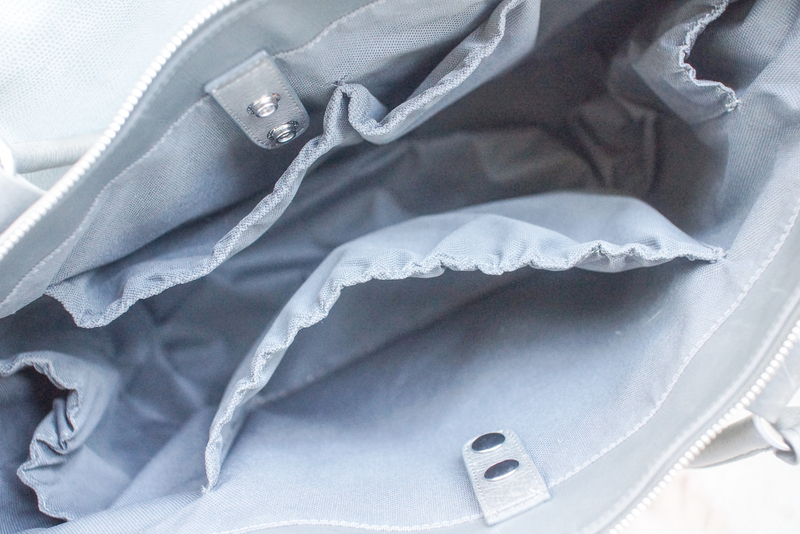 With five interior and two exterior pockets, your stuff stays separated and in place. There’s no need to worry about everything pooling at the bottom of your bag and you having to fish for your car keys in the middle of a parking lot in the rain – don’t act like that hasn’t happened to you. But, it’s the people behind Oemi Baby I’d like you to meet most of all. Some companies are founded on great inventions or sudden waves of creative inspiration. Oemi Baby was the product of play time in co-owner Fay Mckenzie and Vanessa Richardson’s parents’ basement as kids. When they had their children and after lugging around more than their fair share of impractical and unattractive diaper bags, they realized that most baby accessories simply didn’t meet the needs of parents interested in both form and function. Want one? Here’s where you can find Oemi Baby. And, you can also get it in grey!